Apr – May 2011, Korea Foundation Cultural Centre, Seoul. This etching was made on the island of Skopelos in Greece in July, 2010. There I attended a two-week workshop organised by Basil Hall and worked on a series of etchings and woodcuts. ‘Enclosure’, one of several etchings made, is based on the experience of visiting a deserted monastery. This image is also printed in sepia. 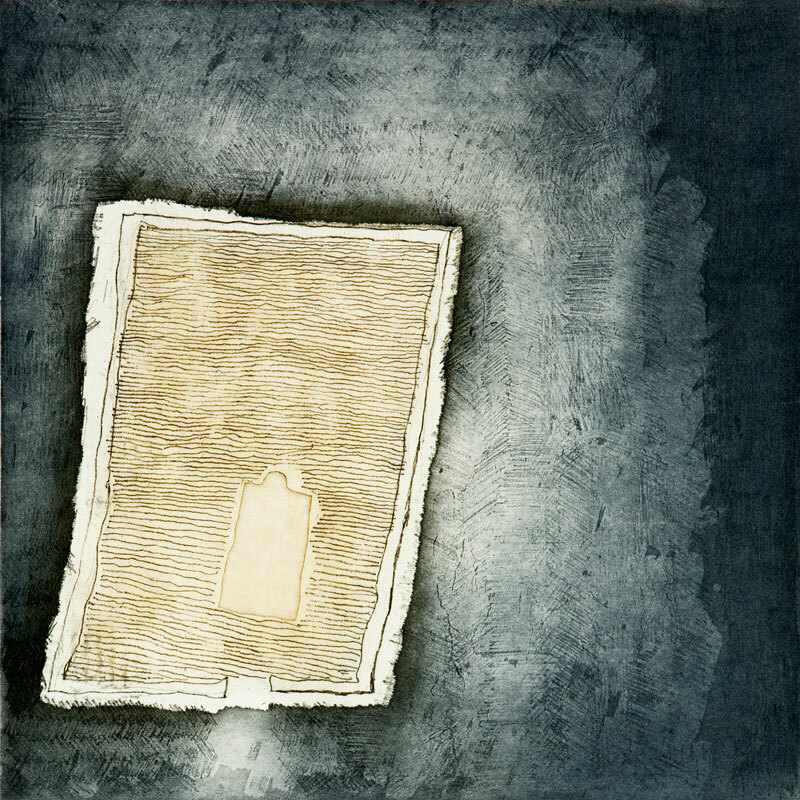 Enclosure (blue), etching, 50x50cm, edition 5, 2010.